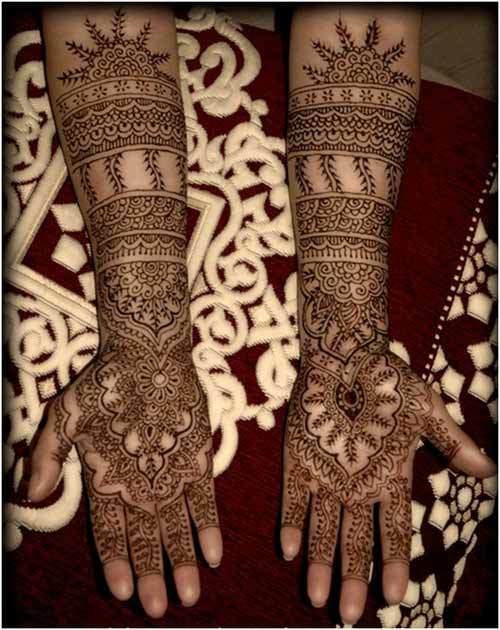 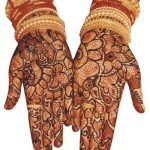 In this post we are going to share Mehndi designs for brides. 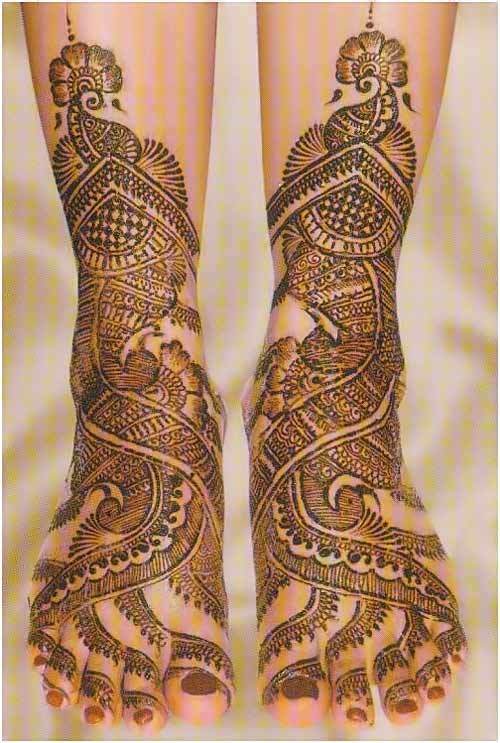 Brides are considering incomplete without Mehndi and the bridal designs are also different then the ordinary henna designs. 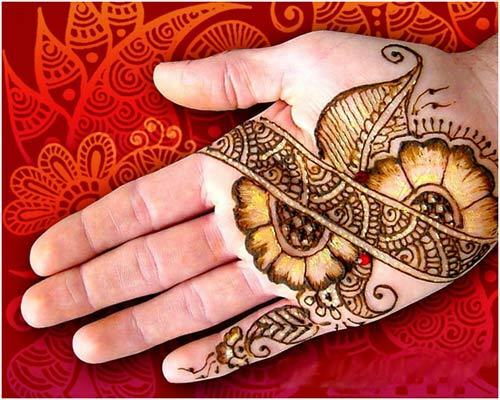 Bride’s hands should be full covered with Mehendi and the color is emerged with red and golden color bangles on the hands. 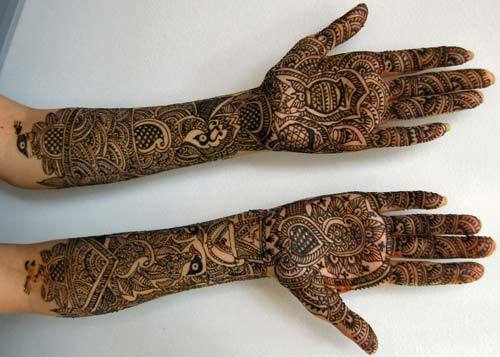 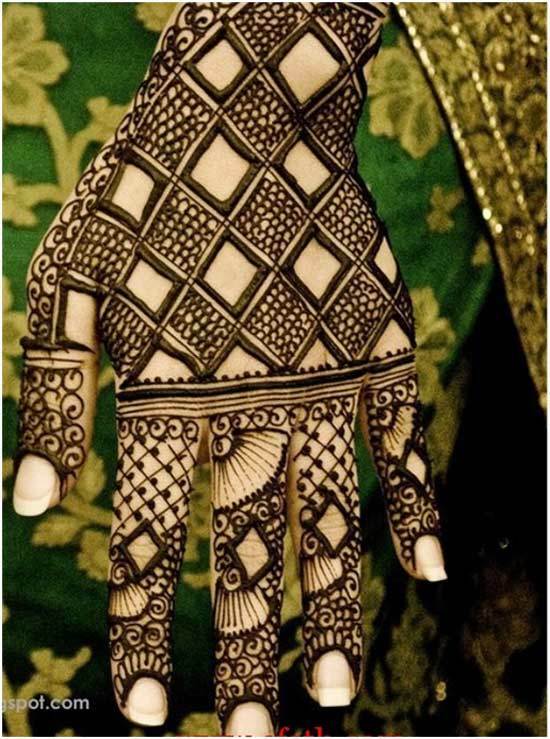 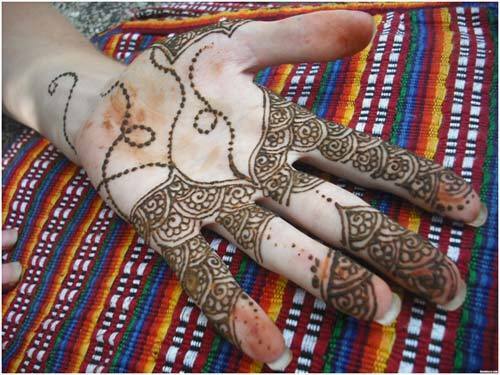 Henna is used worldwide to decorate the hands and feet of brides but in Asian countries especially in Pakistan it has cultural status. 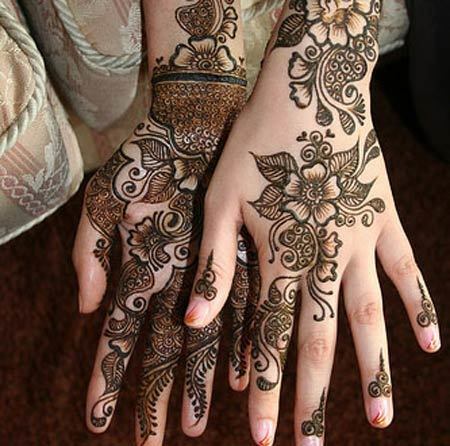 We dedicated a day for it in the whole ceremony of wedding. 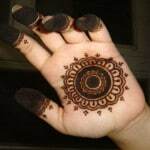 Brides are always looking for best and unique designs of Mehndi for their hands because they want to look beautiful in the crowd. 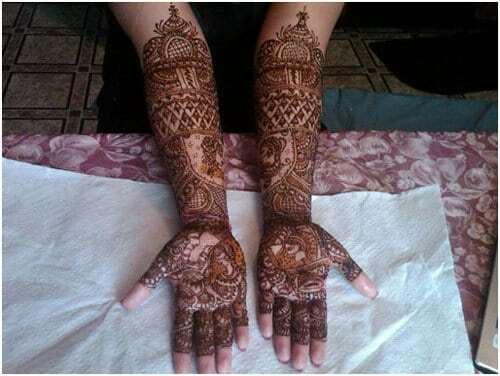 Therefore we selected elegant designs for bridals, so you can choose any design or combination of some designs for your marriage. 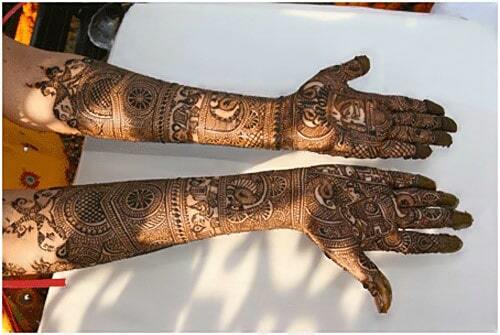 In our culture, there is no concept of wedding without Mehndi. 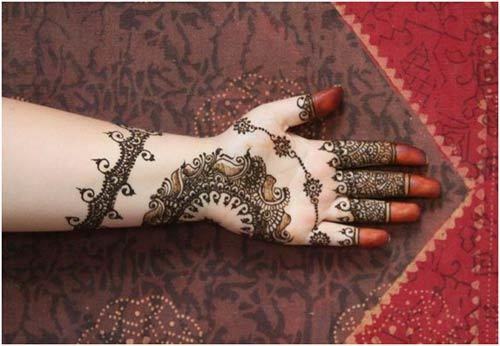 Brides are not only use Mehndi in their hands but other guests and relatives who are attending the wedding party also beautify their hands with different styles. 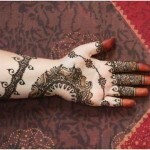 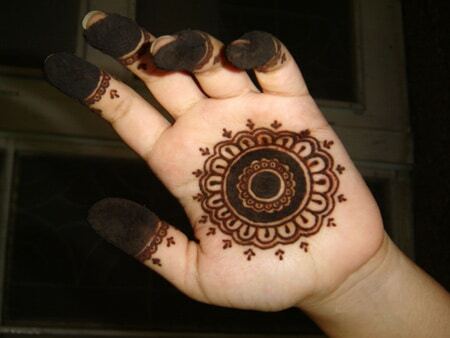 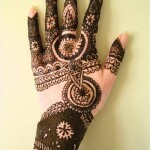 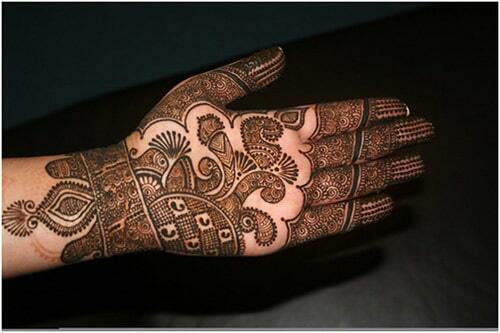 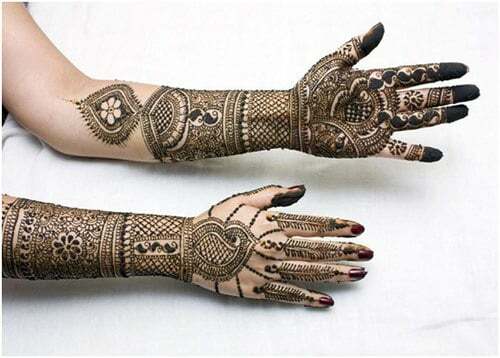 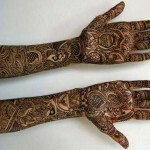 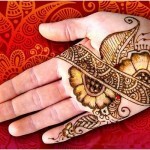 There are lots of patterns and trends of Mehndi are coming and out with the time and also depend on the season. 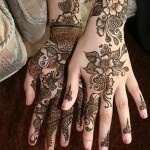 Summer designs are slightly different from winter designs. 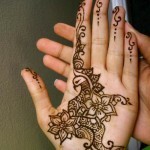 Other latest henna patterns includes Black Arabic styles, Peacock designs, simple round shape designs and shaded designs. 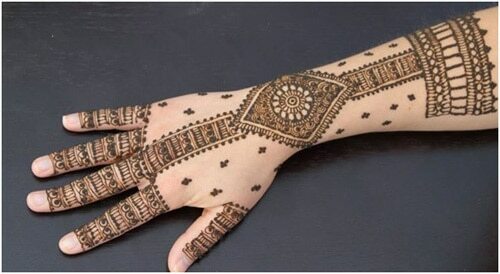 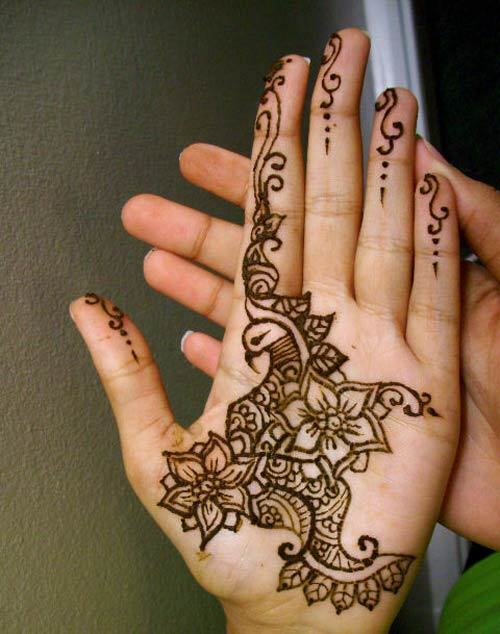 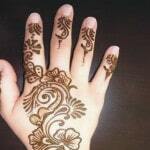 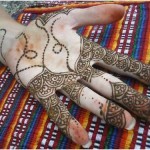 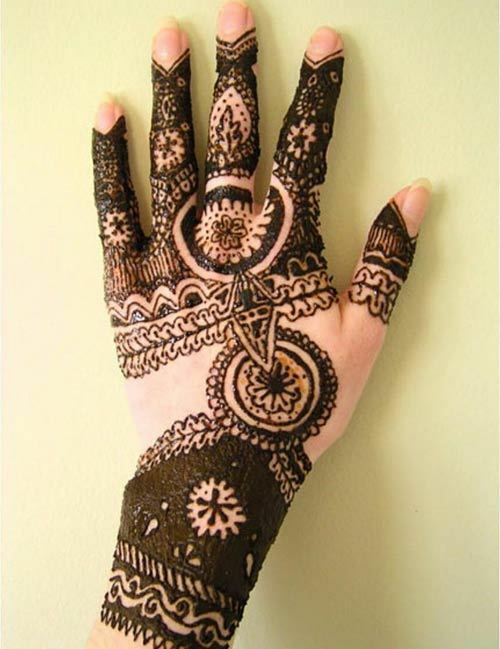 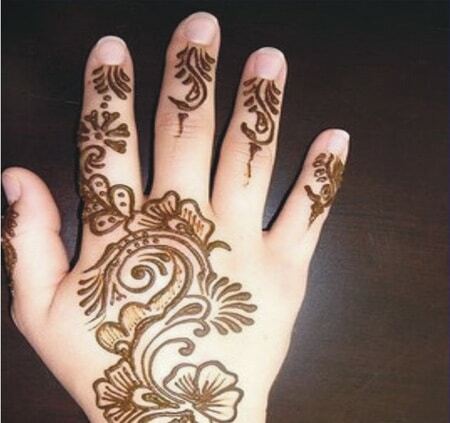 The trend of henna also changes with the age. 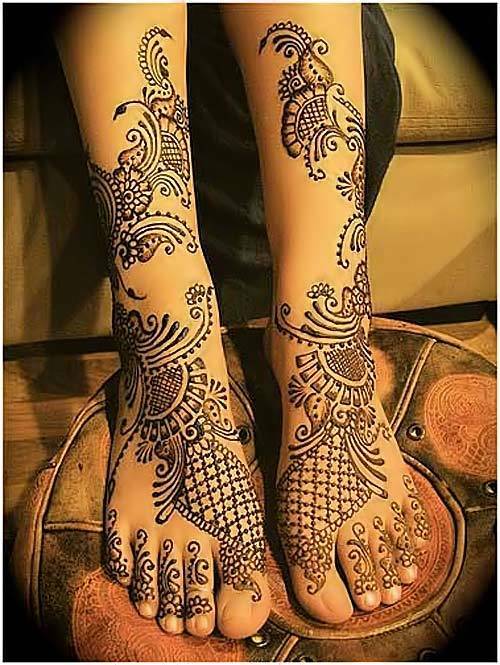 Young girls like small floral design more while the overage women wants bigger flowers and round Mehndi designs for their hands and feet. 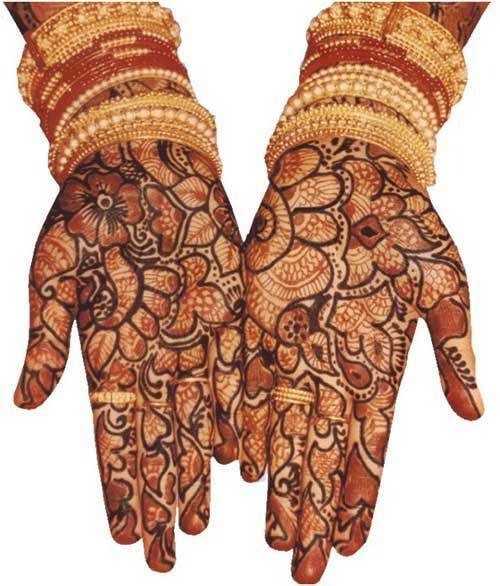 I hope you like all these latest bridal Mehndi designs of 2015 for women and girls. 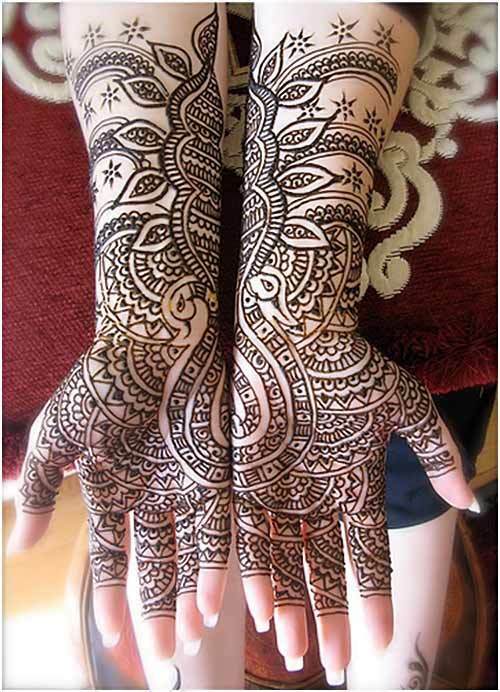 You should share this post on Facebook with your friends so they will help you to choose the best design for your wedding.